Before we start, here's a quick photo to give you a feel for our town's Children's parade. Aren't the colors lovely? And check out the ground- confetti EVERYWHERE. It was crazy fun. Ok. Let's make some confetti! Method 1: Cut up tissue paper! First, grab several sheets of colored tissue paper . Fold them together. Then, grab your scissor and cut out some fringe. Then, cut across. Voila! Pieces of confetti! Method 2: Use a paper shredder! 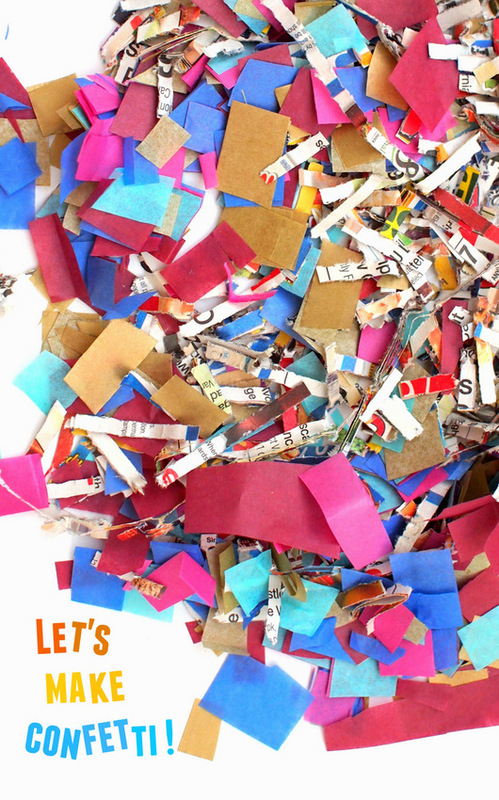 Now, if you have a paper shredder , you can also make confetti with that too. You could just slip in construction paper or newspaper and shred it. Bam. Instant confetti. We tried doing it that way, but the strands were rather super long and got tangled up rather easily. So we folded our newspaper in half and then cut out fringe again. Then, we slipped the newspaper in perpendicular to the cuts and got a bunch of short pieces of confetti. Since we made these two types, we mixed them together to create lovely, colorful, throwable confetti! 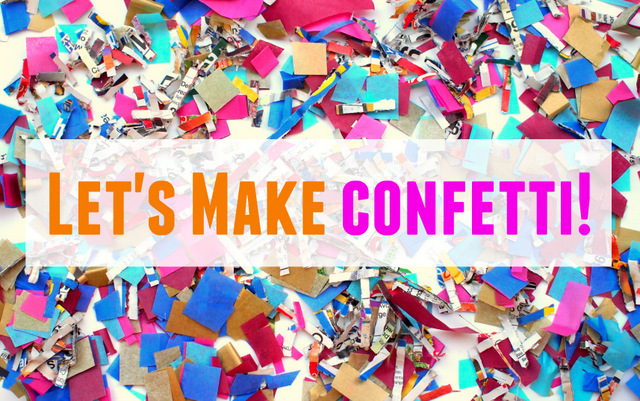 So sure, you could buy prepackaged confetti ... but it's super easy and fun to cut up and make your very own! Here's a photo of our Parade costumes. And see the ground? It's amazing to see our main street absolutely covered in confetti. Well you're in luck, friend! Today's post is part of a collaborative craft series. The Kids Craft Stars and I are sharing fun and easy tissue paper crafts on our blogs. So check out some of the other links below for more great ideas!